Celtic Cross Tapestry is one another form of the textile art. Known for centuries, always admired and praised. Generally tapestry is hand woven on a vertical loom. It is almost like a woven cloth but unlike cloth where the weft and warp threads both are visible, tapestry is only weft faced weaving. Usually in tapestry cotton or linen threads are used as warp threads and weft threads can be anything in cotton, wool, silk and metallic threads. The art of tapestry has its roots back to 300 B.C. This ancient art was eminent in the kings and queens. The royal families used to adorn their castle interiors. Tapestries were used in many forms; wall hangings, runners, pillow cases, cushion covers and decorative rugs. The art of tapestry is still in practice. Though not made any more with gold and silver threads, but its still worth having. In the Victorian era the art of tapestry was at its full bloom. King and queens used to give them as precious gifts, as they were embellished with gold and silver threads. Celts were equally acknowledged for their immaculate art of tapestry. It is not necessary that you make a tapestry in a hand loom. There are several more options to make an equally superior tapestry for yourself. You don’t have to worry about the loom and weaving the tapestry. You can make one for yourself with the cross stitch. You want to know how? I can tell you but there is one thing I need to tell you before you start this. This cross stitch project is a little difficult for the beginners. Tapestries are admired for their fineness and intricacy and to achieve this one must have strong basics for stitches and knots. Now let me guide you through your first tapestry project. For this crosss stitch project you will need to have things that have rich colors, intricate celtic pattern and off course excessive time to do it with detail and interest. For celtic cross stitch fabric go for linen. It has natural irregularities and textured surface that gives the project an overdone classy touch. Choose linen with more fabric count. Greater the number of holes, smaller will be a single cross stitch and this gives the fineness of the project. For threads use a combination of threads. You can choose between wool and silk depending upon the pattern you chose. Add metallic threads to give the touch of gold and silver threads. Choose a cross embroidery pattern which looks ethnic and profound. Use rich and deeper tones of colors like navy blue, maroon, grey, red, deep purple, burgundy etc. Deeper shades will enhance the effect of metallic threads. Use wool or if using silk use extra threads than normal. This will help disguising the fabric. When the fabric is hidden it will give the effect of weft facing instead of warp and weft pattern. 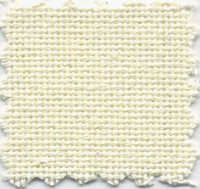 Use variable stitches like quarter, half, three quarters and full cross stitch. Once you are done with the embroidery of the fabric, stitch it neatly to a strong cloth. This will adds to the life of your project. You can add tousles for that extra detail. Now hang it on your wall and enjoy watching it with a cup of coffee!!! !